Another American Express Cobalt Perks offer came out this month. This time they have partnered with J. Crew (a long time Amex partner) that when you shop at J. 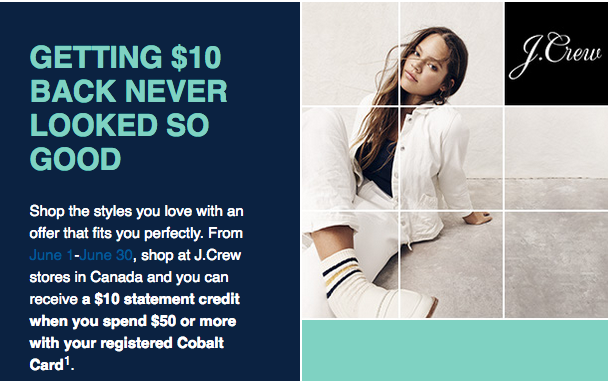 Crew stores in Canada and you can receive a $10 statement credit when you spend $50 or more on your registered Cobalt Card. Find out more and register your card here. But the bigger news for YYC and it's bad news - it looks like British Airways is leaving Calgary, at least for the Winter. 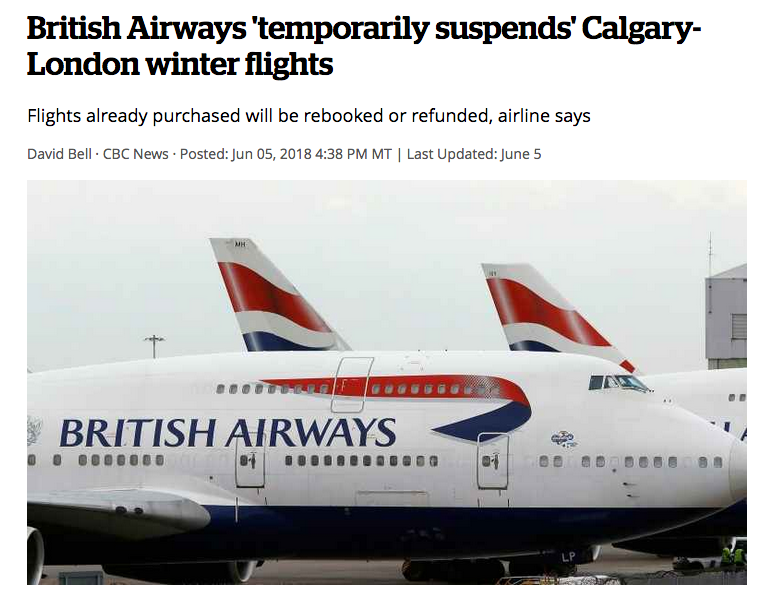 Routesonline has reported that reservations for the Calgary-London Heathrow route have been closed for flights from late October to early March. Some are saying (per CBC) they are only gone for the winter and will come back for summer while others say they are gone for good. Either way the disruption for winter is not good for those who have already booked flights (they will be rebooked on other airlines or refunded) and of course not good for the frequent flyers and Executive Club members in the region!